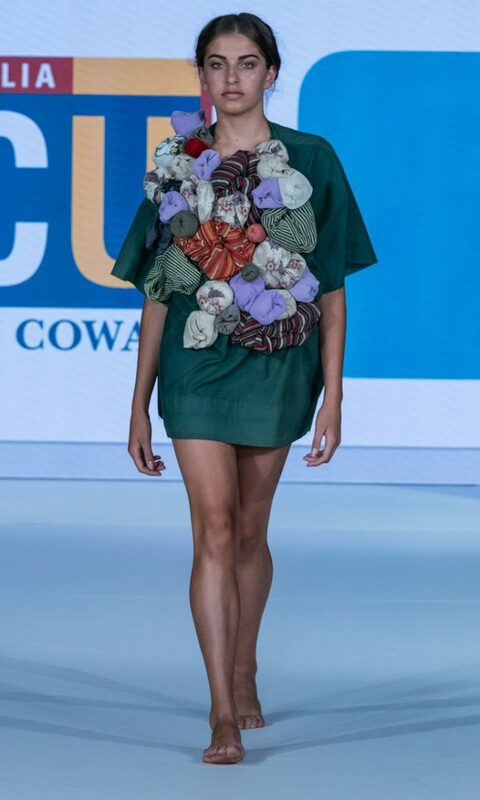 Edith Cowan University fashion students capsule collections awestruck the audience at Eco Fashion Week Australia. 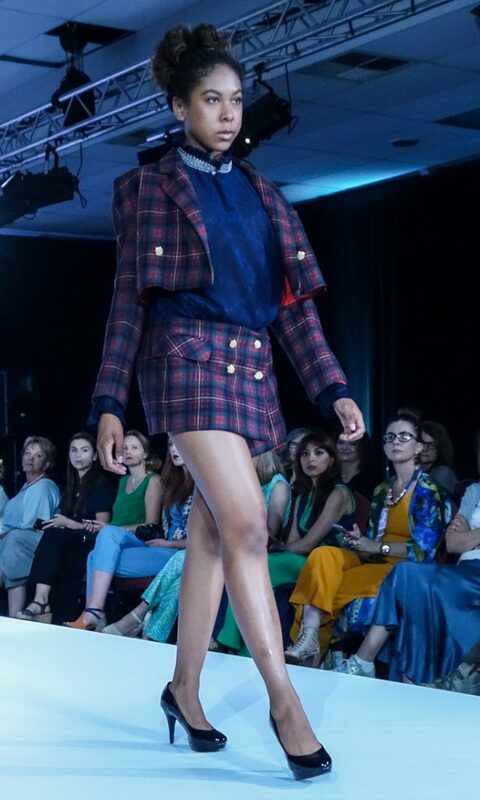 Demonstrating that Edith Cowan University program is very much a part of the fashion scene here in Western Australia. To make it in the fashion world today, it requires talent, lots of hard work and integrity. The fashion industry is a multidimensional business that requires strong relationships with fashion week organizers, stylist, publicist manufacturers, wholesalers, retailers and their clientele. Often, we see fashion designers self-destruct because of their unethical business practices within the industry. 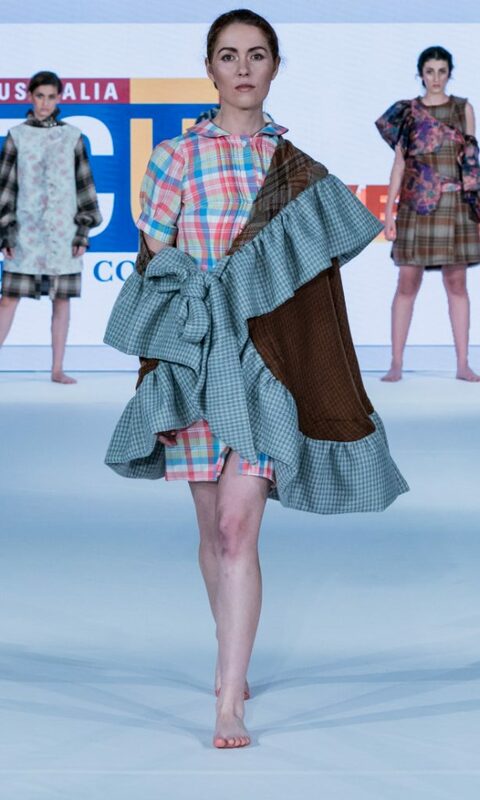 Perhaps one of theses students will be the new face of Australia’s eco-fashion future. 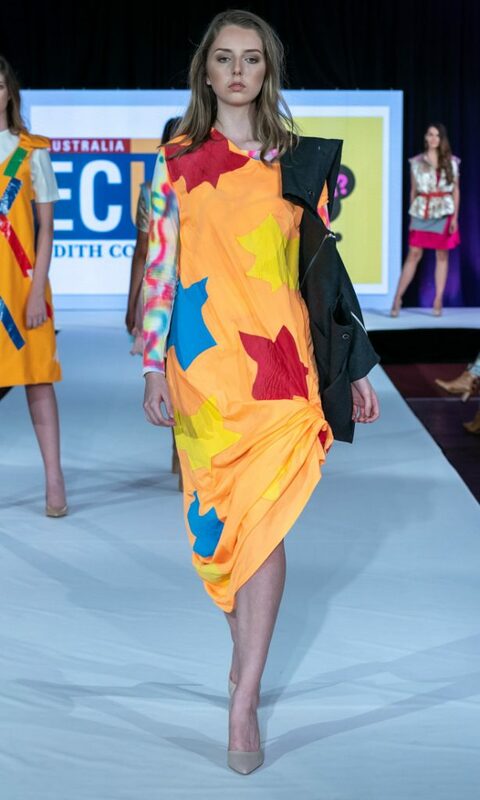 Here are a few of the looks from the ECU student capsule show.